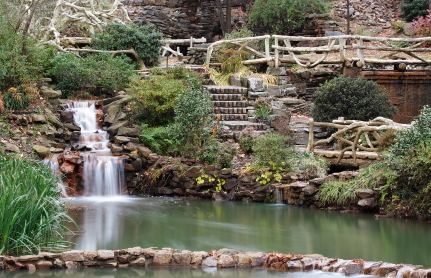 Mill waterfall and tranquil green pool below sapling railings and stone steps. Scenes from Gone With the Wind were filmed here and the setting is popular for hosting wedding photogaphy. Simply add butterflies to your Arkansas Wedding. Pugh Memorial Park National Historic Site, North Little Rock, Arkansas. Mr. Butterflies provides Live Monarch Butterfly for release in Arkansas at all kinds of different events. Consider having a Butterfly Wedding, a Butterfly Funeral, a Butterfly Memorial, a Butterfly Birthday, a Butterfly Graduation or just a Butterfly theme party.